Swiss Hydrogen SA is very proud to be the technological hydrogen partner of the Race for Water Foundation. Over the last 10 months our team has been at work equipping the Race for Water Solar Vessel with a complete hydrogen energy chain. 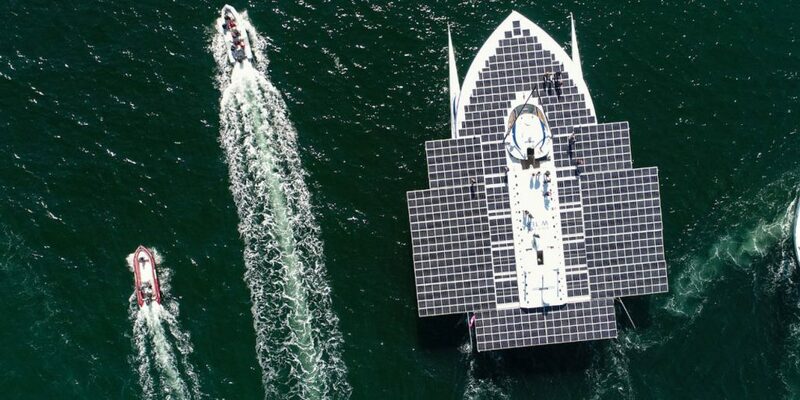 This vessel, formerly known as “PlanetSolar” is the largest solar boat ever fitted with such a system. Thanks to the hydrogen technologies this unique vessel will now be able to store the excess of harvested solar energy and therefore quadruple its autonomy. The overall energy process is briefly described here.